NO MINIMUM, NO RESERVE!!! 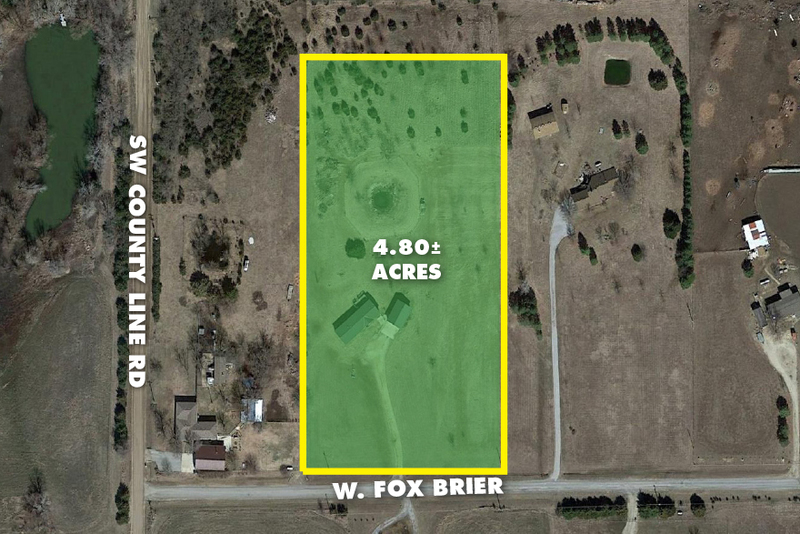 4-bedroom, 2-bath home and shop on 4.80± acres in Rose Hill. This home sits on almost 5 acres and will give you the feel of country living while still being minutes from the amenities of Rose Hill. Per the seller, updates include improved skirting, decks and a roof that is a year old on the garage. The North and West side of the property includes barbed wire fencing. The spacious detached garage/shop includes three overhead doors that gives you lots of potential future uses. The interior of the home features lots of natural lighting and open spaces throughout. The kitchen will include the dishwasher, range/oven and a mini fridge. The master bedroom features an ensuite with a separate bath and shower. The large, walk in closet can be accessed by the master bedroom or the ensuite. There are three additional bedrooms and a bathroom to complete the home. Seller has never occupied the property and has no knowledge of condition. (Rose Hill) 63rd St & 159th St/County Line Rd - North to Fox Brier Rd, East to home. Total Floor Living Area 2,128 Sq. Ft. Above Ground Living Area 2,128 Sq. Ft.